Formlets development team is happy to introduce its new feature which allows users to upload multiple files. If you want to create a form and will require you to upload more than 1 file you just have to activate this feature. How to activate multiple file upload? 1. Choose "File Upload" element to be included in your form. 2. Click on "Edit Button" on the top and choose "File Upload" among the elements to manage the settings. 3. 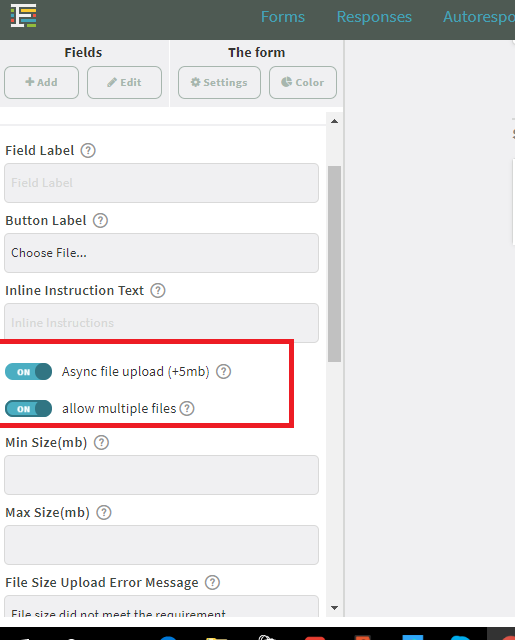 On the File Upload settings, Activate the "Async File Upload" button. 4. Turn on "Allow Multiple Files" to finally activate the feature. After, following the steps above, finish your form, publish it and give it a try.